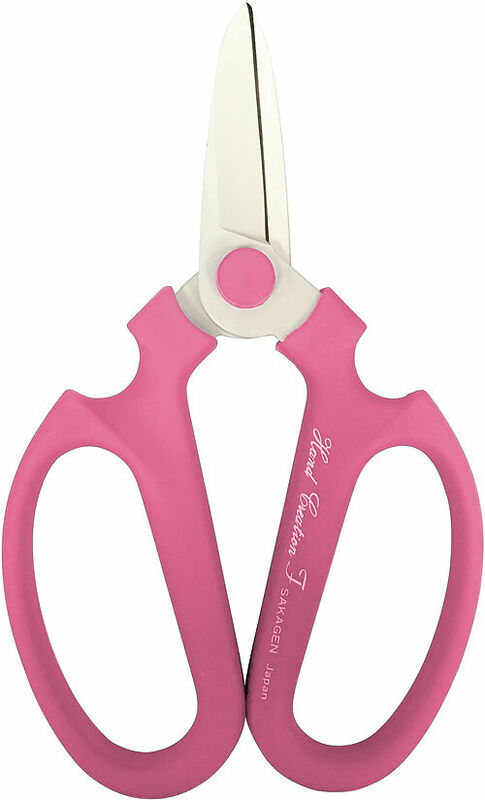 New floral scissors based on the traditional Japanese design, with fluorine coated blades to resist rust and corrosion, for home and garden use. Ergonomic handles in a choice of Red, Blue, Moss Green or Pink. Niwaki Tip: Like all Japanese scissors, these are best used with the index finger outside the handle.